"TREAT yourself to one of the most sublime experiences on island and with a master's touch, REALLY my most favorite experience of blending with ONENESS , pure relaxation to the core." "I experienced a sense of fluidity in my spine and a depth of relaxation, letting go, that was profound. My clinical assessment was going "this would be good for pregnant women, physically and psychospiritually, this would be good for PTSD, this would be good for dying people, this... IS... good.. right now." The head underwater parts were extraordinary, I felt no need to breathe during what felt like long submersions. My nervous system felt reset into a more calm, alert state. I would recommend this work without hesitation to anyone." 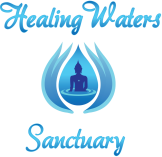 "Had a wonderful sacral-cranial water dance session today with Andy Marcus. If you are on Maui, you would love to experience this float session at his exquisite place. " "I like it and was touched. I think my time with you today was the closest I have come to a state of samadhi. A very powerful way to heal thyself. How beautifully you hold the space for one to return home. I can whole heartily and with so much gratitude recommend and encourage this experience, as it can take you far beyond your own devices."